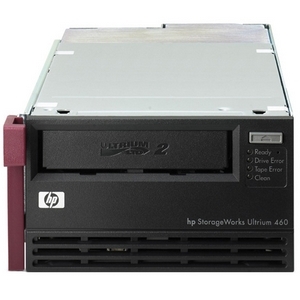 The HP StorageWorks Ultrium 460 tape drive is the second generation of HP’s Ultrium tape drive family, delivering a capacity of 400 GB of compressed data on a single cartridge. With a compressed transfer rate of 60 MB/sec, the Ultrium 460 is the ideal choice for mid-range servers with enterprise-class data protection needs. The Ultrium 460 tape drive is fully read and write compatible with the first generation of Ultrium tape drives.